You are here: Home / Content Marketing and Campaigns / Best Practices and Tactics / Incremental gains: If your content manager isn’t making them, your destination is losing. 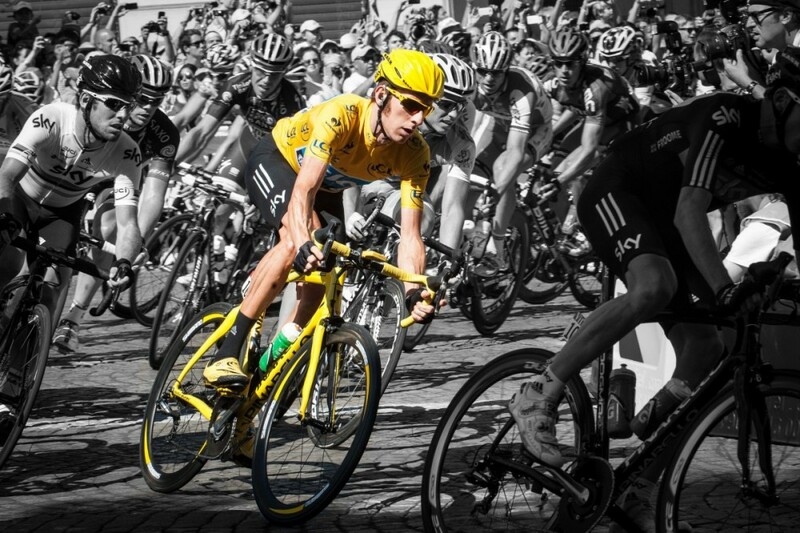 Did you know that the Tour de France was created over 100 years ago as a piece of content marketing? Short on stories to write about over the summer in the early 1900s, French newspaper L’Auto created a grueling, sweltering bike race over and around the nation’s soaring mountains. Curious spectators lined the streets, riders nearly died and the newspaper had a month of sensational stories to write. To this day, the leader of Le Tour wears the iconic yellow jersey, an homage to L’Auto’s thin yellow pages. What does cycling have to do with content marketing for destinations? For one, both are extremely competitive. Secondly, in cycling and content marketing, those who do every small task marginally better than the competition are usually the ones who win. For Team Sky, a cycling team that has produced three of the last four Tour de France winners, this means finding incremental gains in their everyday life and training. For example, the team travels with custom pillows for their riders to improve sleep by one percent and they properly wash their hands dozens of times a day to avoid time-slowing sickness. To encourage proper hydration, the team adds a slight taste-improving splash of flavor to the riders’ water. Team manager Dave Brailsford summarizes this philosophy by saying “We are always striving for improvement, for those one percent gains, in absolutely every single thing we do.” The approach is justified. In a race that spans over 80 hours and 2,000 miles, the winner’s final time is usually less than half-a-percent faster than the chasing field. In the everyday grind of creating engaging, attention-grabbing content for destinations, opportunities to implement incremental gains can be found everywhere as destination marketing organizations (DMOs) strive to become experts at consumer engagement. Facebook claims its algorithm incorporates thousands of determining factors for placing content in an individual’s newsfeed, all opportunities for a skilled content manager to deliver a destination’s stories to potential visitors. Timing: 79% of cell phone users check their phone within 15 minutes of waking up and Instagram is still displaying content in chronological order. Posting first thing in the morning means your content will get more views during a segment of the day in which there is less feed competition. Image placement: Hold up your phone and go through your Facebook feed. If you’re like 67% of mobile phone users, you probably used your right thumb to scroll. That means you’re blocking out the right side of the photos (where your thumb idles) and the bottom left of the photos (where your thumb scrolls). As a content manager, it is best to put the subject of your photo in the untouched upper right corner. Wording: You can find one-percent improvement in optimizing the wording of your caption ever so slightly. Research shows that most persuasive word in the English language is “you.” To boost engagement when asking a question or telling a story, include the word you. Tell your stories to individuals, because individuals are consuming your destination’s content. Video length: If the average human attention span is down to 7 seconds and Facebook’s algorithm rewards videos that are watched to completion, why not make your videos 7 seconds long? More views and more reach will lead to better results than your competing destinations. A content manager’s ability to find these thousands of opportunities for incremental gains and implement them every day can make a massive difference in the long-term success of a destination’s digital marketing. It’s also why your content manager is one of the most important hires for your DMO. The difference between optimized high-quality content and average content can be millions of social media impressions over a year.